Should we be concerned? Item courtesy of El Pais. All one needs to do is become a member of a cannabis club, many of which advertise on the internet, and place an order by phone or online, as this newspaper has confirmed. Club employees can also be found handing out flyers in the streets and leading interested passersby to club premises to help with the registration process. Membership fees are around €20. But for the first time in the Catalan capital, a judge has ordered a club closure on the grounds that it was engaging in drug trafficking. The club, located in the district of Raval, had a price list for various marijuana products, besides selling drinks and snacks. Police observed an individual leading people off the street and into the club to get them registered on the spot and start selling them the drug. “This way the tourists could consume and purchase marijuana without limits throughout their holiday,” said the Catalan police, the Mossos d’Esquadra, in a press release. Catalonia has around 400 cannabis clubs that are officially registered as associations, half of them in the city of Barcelona. Just two years ago, there were only 40 such clubs in the entire Catalan region. Many of these member-only, not-for-profit associations claim to use marijuana for therapeutic uses. Yet their rapid growth and targeting of tourists has triggered greater oversight by authorities. 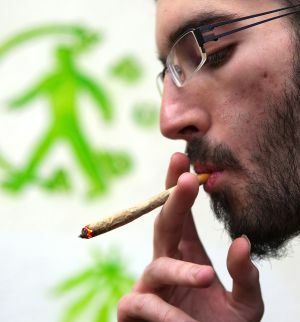 For years, the Federation of Self-Regulated Cannabis Associations of Catalonia (Fedcac) has been asking the regional government for some kind of regulation and insisting on the importance of distinguishing lawful clubs from the unlawful ones. This group has even drafted a code of good practices that all federation members must observe. The Fedcac has an easy solution to end the cannabis tourism: “Just wait a week before the registration of a new member takes effect,” explains federation spokesman Albert Tió. While the sector awaits legislation that has yet to see the light, the Fedcac figures there might be more than 165,000 club members altogether, of whom 60,000 are regular consumers who spend between €50 and €100 a month. In other words, these not-for-profits make around €5 million a month collectively.